Raise Backyard Chickens Hacks- The trend of raising backyard chickens is catching up and for a very good reason. Producing your own food is a good way to cut expenses and also reduce your exposure to chemicals used in commercialized food production. People who raise backyard chickens are those that would want to maximize their unused outdoor space and in a way control a small part of their food source. It is a praiseworthy effort that can produce great results for the whole family. However, raising chickens can take a considerable amount of work and will demand time from those who want to pursue it. Having fresh eggs every morning from your own chickens is deeply satisfying. A basket full of still-warm fresh eggs is not only nutritious, it also a safer food source and it tastes way better than eggs you buy from the supermarket. At the end of their productive life as egg layers, chicken can be cooked and provide the family with an organic source of protein-rich meat. Since your chickens are considered “free range” they also have leaner meat, healthier than the ones you buy from the grocery store. The droppings of the chicken can also be a good natural fertilizer. If you also have a vegetable patch in your backyard then you can use the processed droppings as fertilizer. You now have a very efficient food source in your backyard that is self sustaining. Chickens are also natural gardeners. They love to dig and scratch around which is great for your compost heaps. They can also clear your vegetable garden beds after you harvest as they love to nibble on unwanted weeds and fertilize the soil in the process. Chickens will help control bugs and insects in your backyard. They eat snails, grasshoppers, and other known garden pests. They also eat fallen fruits so flies will have no reason to visit your property. 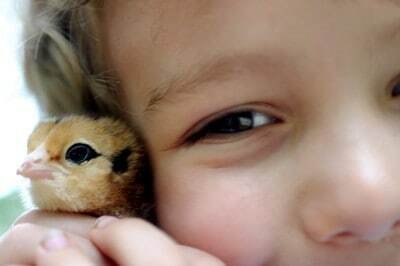 Chickens are fun pets for you and even for your kids because they are innately friendly. Chickens have personality believe it or not and this makes them fun to look at while they play around the coop. The cost of having chickens in the backyard is very low. It is important for you to realize that buying chicks is cheaper than buying mature hens. The downside of this option is that you have to wait a longer time (around 5-6 months) before these chicks can lay eggs. The cost difference is almost half when you decide to raise the chicks first. This is great for families with young kids as the children can really appreciate the chickens because they have the chance to see the chicks grow to adulthood. What are the expected expenses of raising chickens in the backyard? The first expense is of course the cost of the chicken which varies depending on the breed, age, and other factors. Then there is the cost of building or buying ready-made coops. This can cost you nothing if you know a little bit of carpentry and you decide to use recycled materials. However fancy coops that are ready to use can be very expensive, into the thousands, but the average cost of coops is less than a thousand. Monthly costs can include feeds and other miscellaneous expenses. If you go for buying chicks you also need to purchase a brooder. Most families who raise chickens make their own brooder with Rubbermaid container or packing cases. The size would depend on the number of chicks you decide to raise. 1 square foot of space is needed for each chick. Consider this computation as you decide on your brooder choices. You also need to buy waterers and feeders for the brooder and the coop when the chicks are mature enough to be moved to their permanent home. It is less expensive to raise chickens than a pet dog or cat, plus you will have fresh eggs every morning when the chickens start to lay eggs. This can offset some of the costs you incurred in raising the chickens in your backyard. Depending on the decision to raise chicks or matured chickens, you need to learn the basics of taking care of both to make sure that the chickens can grow to maturity and they can have a healthy, long life, producing as much eggs as they can for you. Learn about the important tips on raising roosters and the pros and cons of having a rooster before deciding on adding a rooster. If you plan to raise chicks, ensure you make time for them; you will need several weeks. Chicks need constant attention so you cannot be not around in this early stage of their lives. Make sure that you have a place for them to grow and mature until they can live in the chicken coop. You need to have a brooder and a source of heat, preferably a 250 watt infrared light that can provide up to 95 degrees of ambient temperature. Know you will need to regulate and reduce the temperature by 5 degrees each week until the chicks are ready to move outside to the chicken coop. Make sure you install a chick feeder and waterer in the brooder. Be sure that the brooder also has the right kind of absorbent bedding. Many would opt for the newspaper or paper towels but these are not simply absorbent enough considering the high volume of poop chicks can produce in a day. The most ideal would be pine shavings about an inch thick. It is easier to manage pine shavings. Pine shavings also help to control odor and to eradicate the risk of the chicks slipping which is common in newspaper-lined brooders. For matured chickens there are fewer pointers to worry about. To better manage everything, the following is subdivided into daily and monthly activities to make sure the chickens are taken care of properly. Make sure that the chickens have enough cool water and food. You can now leave the chickens for longer periods of time provided that the feeders and waterers could last them for the number of days you are not around. Make sure that the water is clean. Chickens do not like dirty water and would refuse to drink if this is the case. A dehydrated chicken can easily die so be mindful of this always. Always be in the lookout for weak looking chickens. The chickens must be energetic and very active. Symptoms of weakness must be reported immediately to your vet. Make sure to collect the eggs daily and refrigerate them if you do not plan to cook them for the day. This ensures its freshness and also bars bacteria from contaminating the eggs. It is important to open the chicken coop for the chickens to go out and feed on the ground. However it is very important that you do not forget to close the coop at dusk when they are all inside. This is the only way you can protect them from predators that roam your backyard at night. To make sure you do not forget about this, set an alarm in your phone for this specific purpose. Make sure to change the bedding in the coop before the smell becomes too much. This is a sanitary issue as well as a means of ensuring the health of the chickens. Replace the bedding so ammonia will not build up. Excess ammonia can make chickens sick with respiratory problems. Make sure to properly dispose the chickens’ feces. The most efficient way to do this is to put it in the compost bin to make organic fertilizer for your garden. You must regularly clean the chicken coop. Remove the bedding, the feeder, and waterer and everything inside the coop. Make a solution with bleach (1 part), soap (1 part), and water (10 parts) to clean up all surfaces of the coop. This prevents infection and disease. It also controls odor effectively. Feeding backyard chickens is easy. You just have to pick up some key information important to your budget and feeding requirements. As a general figure to consider, a single chick can eat about 9-10 lbs of food in its first 10 weeks. If free-range, a mature hen can consume up to 5 lbs of food every month. One of the most import keys is to feed your chickens healthy chick starter feeds. There is a big differences on the kind of food you choose to feed your chicken. There are medicated and non-medicated feeds, regular feed, and organic feed. It is important for you to realize that you pay less per pound when you buy in bulk. The amount of food consumed by chickens depends on many things including their breed. Bantam chickens consume less food compared to large fowl. Chicken also eat more during the winter season so you also need to consider this accordingly for your food stocking. You need to be careful what you feed your chickens. Citrus fruits and peels can significantly reduce the hens’ ability to produce eggs. Chickens can choke on bones and big servings of meat. Garlic and onion is also a no-no as this can affect the taste of the eggs the chicken produce. Avocado and potato skin is also not advisable. Although it may sound easy to just clean soiled eggs, there is also a huge concern about brushing eggs. The egg has a delicate coat called the “bloom” that protects it from bacteria and spoilage. If you rigorously clean the egg, it loses this coat and makes the egg more vulnerable. Here are some pointers that can help keep the eggs clean without compromising freshness. Use sand to cover the surfaces inside the coop and the run. Sand is very absorbent so that feces and mud from the outside will not stick to the feet of the chickens. When they get inside the nest box there is lesser chances that they will soil up the eggs already there. Train chicks to not sleep in the nest boxes. When chicks habitually sleep in the nest box they will also habitually poop inside it soiling and contaminating the eggs. Make sure that the nest boxes are enough for all the chickens inside your coop. 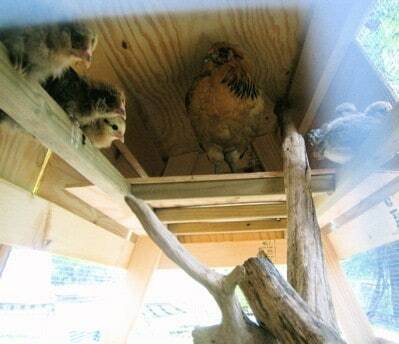 One nest box can only accommodate four egg-laying hens. If you have more than four, the chickens will lay and brood eggs outside the coop. This will create more egg sanitation problems. Be sure to collect the eggs as often as you can. This practice will allow you to collect very fresh eggs. It will also prevent the chickens from soiling their own eggs already in the nest box. Collect them as soon as possible so the chickens won’t step on the eggs and soil them with mud and feces. Keeping these simple pointers should allow you to raise backyard chickens with lesser egg sanitation issues. It is easy to raise backyard chickens when you do things correctly from the beginning. Take the time to ensure proper habits from the start for healthy chickens.